Published in: T.F. Kelly (ed. ), What Price the University? : Perspectives on the Meaning and Value of Higher Education, Special Issue of the Maynooth Philosophical Papers, Faculty of Philosophy, NUI Maynooth, September 2006. This paper asserts that most undergraduates leave Irish universities short-changed, never having been exposed to the riches of research. A re-conceptualisation of the research university is proposed, one founded on a culture of inquiry, interdisciplinarity and innovation. Scholarship is expanded to include engagement with communities, utilising the academy’s unique multidisciplinary environment. It is argued that creativity and exploration should be essential elements in every undergraduate experience. A specific programme is used to exemplify how a responsible, civic and sustainable innovation culture can guide research and self-discovery, helping students understand how developing their own ventures can create value in society. The situation must undergo radical change if a culture of innovation is to be generated within Irish universities and pervade society. Involvement in research, the creative process and innovative enterprise could prove enormously beneficial to the development of young people, their future employers and the communities in which they belong. Some academics regard research and undergraduate teaching as existing in different worlds. Research offers immense personal satisfaction and recognition to faculty but many see undergraduate teaching as a chore. Besides, research is defined in too narrow a manner. Exposure to the process of inquiry, exploration and self-discovery so students are more likely to emerge as engaged, responsible and creative citizens should be a central element in the undergraduate experience. Nor is the problem confined to this country. For a long time, this issue has plagued top research institutions in the US. World-renowned powerhouses like Harvard, Stanford, Chicago, and the like possess unparalleled wealth in intellectual resources. Young, gifted students should be able to share this wealth. Realising the true potential of the research activity conducted within universities would mean a complete transformation in the nature of undergraduate education. 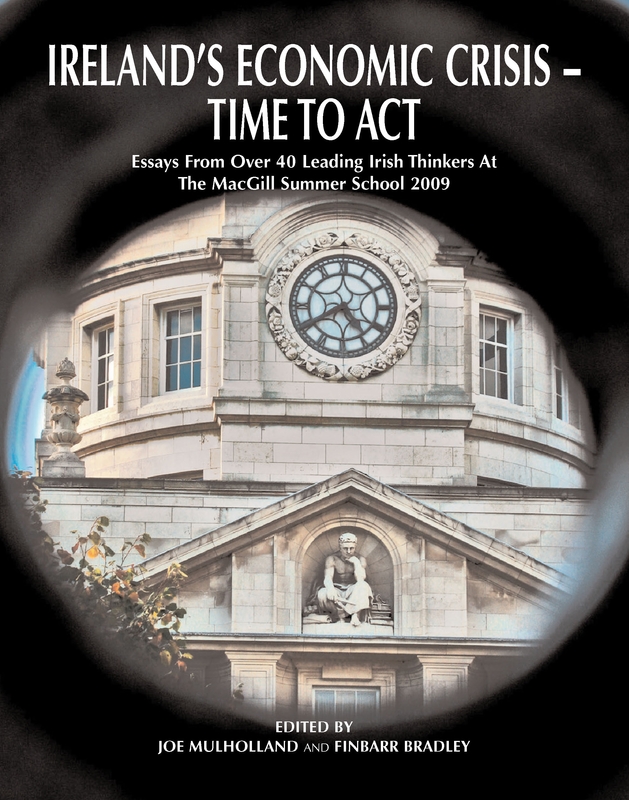 We argue that a radical new approach to Irish undergraduate education is urgently required. Students graduate today to a world of global risk, environmental degradation, values conflict and cultural confusion. This is a place where great opportunity and wealth exist cheek to jowl with deprivation and poverty, where natural resource depletion and the dangers of global warming offset the positives of medical and biotechnology advances. Forming a culture of inquiry, research and innovation within a framework that stresses intercultural understanding, sustainability, equitable sharing of resources and enhanced civic responsibility is an enormous challenge for educators. Undergraduate education should be founded on liberal ideals, emphasising interdisciplinary studies while allowing a degree of specialization within a student’s particular area of interest. 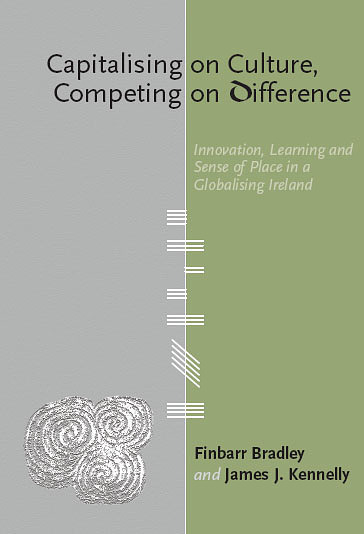 We assert that a good way to nurture creativity and citizenship is for each Irish education institution to pursue a shared purpose or unifying cross-disciplinary narrative, a roadmap in effect to guide all its research and learning activities. The definition of research within universities must be expanded to include additional approaches to scholarship, utilising fully the multidisciplinary environment this unique institution offers. A good model is the concept of the engaged university, founded on a values-led ethos, with a structure, research and teaching agenda suited to respond to identified community needs. We illustrate the benefits of inquiry-based learning by examining an exciting new NUIM programme, an interdisciplinary enterprise degree that helps students understand how to develop ventures, defined as risky innovations that create value. A civic and sustainable innovation culture provides students with a potent vision to guide their research and exploration. We see no reason why this example of inquiry-based learning cannot be replicated in other areas of undergraduate education. A major Irish public policy goal is to develop a knowledge-based or network society, based primarily on cheap inputs of information and characterised by ‘knowledge intensive networks as key agents of progressive development in all significant domains of activity’2. Knowledge is identified as an intangible process embodied in human relationships, so-called networks of human interaction. Creating new knowledge and its dissemination is seen as the key to creating value through innovative ventures. To achieve a knowledge society, state spending on R&D has been increased substantially in recent years, a huge change in attitude since the role of science and technology in Irish development had largely been neglected since the foundation of the State. Under the current National Development Plan, the Government is spending vast quantities of money, close to €2.5 billion between 2000 and 2006, on research and development (R&D), compared to €500 million between 1994 and 19993. As the ESRI points out in its analysis of the priorities for this investment, a number of important criteria should govern the allocation and monitoring of public R&D funds. These include the benefits derived through the impact of this spending on the long-term development of economic activity. The potential for the repositioning of existing indigenous enterprise as well as the development of new enterprise should be key considerations4. According to Sweeney, the linear model of innovation, namely basic research – applied research – development – innovative products – economic growth, has long been discredited. The innovative idea and its development have many inputs of which science and scientific research may be just one of many. Innovative development occurs through many sources including the codified and theoretical knowledge produced by university research. The implication is that the appropriate university model for a knowledge society is a learning organisation one so that its research acts as a window on the world, identifying and acquiring knowledge from elsewhere as well as internally5. Developing a culture of creativity is the Holy Grail, a successful formula described as ‘one part technology, nine parts innovation’7. Two observers of the knowledge economy, John Seely Brown and Paul Duguid point out that without rich social networks, innovation is unlikely to occur. Where knowledge really counts, people count more than ever since minds, not databases, are the creators of and carriers of knowledge8. As a recent Government report put it, ‘it is the hearts and minds of people, rather than traditional labour, that are essential to growth and prosperity’9. If the social or cultural context is ignored, investment in science and technology in Ireland will not lead to a knowledge society. Knowledge is more than just facts, theories or know-how. Its tacit component and the intangible processes embodied in human relationships, networks of human interaction, are its most valuable characteristics. If a culture of innovation and self-reliance is to take root, it must be founded on nurturing relationships of community, trust and sense of place, in other words, social context is crucial. Yet, the State appears to be banking on a research or science strategy rather than a multifaceted innovation strategy to achieve a knowledge society. For instance, the budget for Science Foundation Ireland (SFI) is some fifty times greater than that for the Irish Research Council in the Humanities and Social Sciences (IRCHSS) yet researchers in disciplines like anthropology, economics, history, geography, psychology, sociology and others are crucial if we are, as Michael Cronin puts it, ‘to arrive at any comprehensive sense of who we are and who we might be’10. The capitalisation of knowledge is at the heart of a new mission for the ‘entrepreneurial university’ to stimulate innovation in the knowledge economy. This model of the university is expected to become a more explicit agent of development, while retaining its traditional teaching and research functions. What Leydesdorff and Etzkowitz call the ‘triple helix’, namely a transformation in the functions of the university, industry and the state/government, is expected to take place. Rather than being seen as separate functions, teaching, research and economic development are interrelated. Industry is no longer considered as a separate institutional sphere from the university to which knowledge has to be ‘transferred’11. A new kind of undergraduate experience is needed for these changed circumstances. The learning process needs to be increasingly based on the capacity to find, access and apply knowledge to solve problems. Jamil Salmi of the World Bank argues that in this new paradigm learning to learn, learning to transform information into new knowledge and learning to transfer new knowledge into applications is more important than memorizing specific information12. Primacy needs to be given to information seeking, analysis, ability to reason and problem solving. Competencies such as learning to work in teams, peer teaching, creativity and the ability to adjust to change are also among the new skills that are valued in the knowledge economy. It is also critically important that students are equipped with core values to live as responsible citizens in complex multicultural societies while still upholding the richness and uniqueness of local cultures and values. …begin now to learn to think quickly, to simulate possibilities, to test ideas, and to work in groups. They must learn to work with diverse others in interdisciplinary settings, on campus and at the interface of business, academia and the wider community. They have to develop a tolerance for sharing and investing ideas in work groups that are less stable and hierarchical and more “horizontal” than ever before, with fewer experts and bosses and more colleagues and generalists. They have to care less about ownership over and credit for ideas and look instead for opportunities to pool knowledge and test ideas collectively. They also have to be comfortable in a world in which “learning” and “working” never stop, 24×713. Cantor sees undergraduate research as a potential catalyst for institutional change, as well as for the transformation of undergraduates into creative thinkers. Some of the assets that could be added to campuses as universities engage more thoroughly with undergraduates in research include the development of cultures of collaboration, cultures of diversity and cultures of risk-taking and connection. Provocative critiques of US universities such as Allan Bloom’s ‘The Closing of the American Mind’ charge contemporary academia with having abandoned their principles and their purpose14. Often charges come from outside the academy as in investigative journalist Charles J. Sykes’s fiercely argued book, ProfScam, a muckraker which charges that US college teaching has become a lucrative racket, where the most important responsibility, undergraduate teaching, has been abandoned in favour of ‘trendy research, the pursuit of personal or political agendas, outside consulting contracts, and the drive for tenure’15. Yet, even an insider and enthusiastic champion like John Sexton, President of New York University (NYU), maintains that enormous societal changes today compels dramatic adaptation within higher education, rooted in serious reflection on the nature of who we are, what we do, and how we do it. Universities, which simultaneously serve roles as the pioneers of progress, the chroniclers of change, and the carriers of tradition, are at a critical threshold. The years ahead will see a fundamental shift in our understanding of their nature and operation. However, an unhealthy separation or disconnect now exists between the ideal and reality of the major US research university. Undergraduate teaching is entrusted largely in the US to part-time faculty or postgraduates, a disconnect that could jeopardise the very existence of the research university. Sexton argues that to maintain and nurture these universities, distinguished faculty will be required to be engaged with undergraduates, to teach and inspire them. The students who choose to study at these institutions expect to be engaged in a field, in a frame of mind, in spirit of inquiry and in the excitement of the creative endeavour. Every student should be exposed to the knowledge creators on campus in a meaningful way. The institutional mission should integrate, in a manner that makes a difference, the nature of the research university and the enterprise of undergraduate education. The university, seen as a community of scholars and learners dedicated to a common enterprise, demands an awareness of the external environment and places new demands on all16. To be attractive to students, the research university must ensure the connection between learning and research, which after all is its main justification. The key is to avoid a set of incentives which create and reinforce a dichotomy in which faculty are not encouraged to view the teaching enterprise, or at least undergraduate teaching, as a natural partner of the research enterprise. Sexton says there are plenty of examples today in the elite US universities of faculty who view themselves simply as independent contractors. Forces at work press in the direction of autonomy with little sense of institutional loyalty. Many scholars regard their own discipline area or specialization, not their academic institution or indeed their students, as their primary source of allegiance. This phenomenon could accelerate even further as technological advances offer faculty more ‘absorbing and more meaningful membership in virtual communities that literally can span the globe’17. While the situation in Irish universities is clearly not comparable with their US counterparts, there is a danger this country is pursuing a research university model derived in a different context across the Atlantic. The recently published OECD Review on the future of the Irish Third-Level Education Sector argues that Government cutbacks in university funding will have a negative impact on research, innovation and the development of a knowledge society18. However, the links between research activity, exploration and the undergraduate experience are ignored or treated as if they do not matter. There seems to be a widely held view that Irish undergraduates do not need to be exposed to the research experience. Yet, if a proper culture of inquiry were initiated in the early years, it could enhance the potential research output during the postgraduate period. Learner-centered undergraduate research training is not just for those interested in a research career. Experience in inquiry and discovery could prepare students for life and work in a range of sectors in the knowledge economy, not just in research. Confining undergraduates for the duration of their studies to involvement in just one discipline means many graduate as neither fish nor fowl. By not being treated as hands-on apprentice researchers during college they are not expert enough in their discipline. Nor it appears is their education broad enough to give them a comprehensive foundation in a number of different disciplines, helping them see connections, so later on they can choose to become researchers in a choice of fields or enter the ‘real world’ as intellectually well-equipped professionals. Three years after the publication of the Boyer Report, as indicated earlier calling for making research-based learning the standard in research universities, the Commission surveyed 123 US research universities to gauge progress on implementation of its recommendations. The responses from 91 institutions showed that the topic of undergraduate research has become embedded in the rhetoric of undergraduate education although conversion to a new model is by no means complete. Faculty and administrators in the US are undoubtedly moving to developing some inquiry-based techniques. However, substantial use of this form of learning remains limited. While opportunities to participate in research activities are now an established component of many undergraduate programmes, most efforts had been directed at the best students. Moreover, the definition of research is often narrow and laboratory-centred, excluding a host of other potentially creative and innovative activities. Not surprising, research appears to be more developed in the laboratory sciences and engineering than in the social science and the humanities. A total of 62% of respondents reported participation by half or more of their laboratory science students while in engineering and the social sciences, the comparable figures were 44% and 25%, respectively. Inquiry-based learning has been developed largely within departments, rarely as interdisciplinary or university-wide initiatives. There has been some response to the Commission’s call for undergraduate programmes to provide graduates with strong communication skills. Research universities now devote considerable attention to writing, but much less to oral communication. While almost all research universities surveyed had freshman writing courses, only 19% of respondents reported that oral communication skills are taught in their university’s introductory courses, while about 30% reported that they do not offer any courses or activities at all to promote development of these skills19. In the US, there is active debate now within academic circles on the discovery processes possible at undergraduate level to stimulate new knowledge and inquiry-based learning. In Ireland, there appears to be no critical examination of what undergraduate research constitutes or how it might add value to education. In fact, it is difficult to identify any theme or objective founded on inquiry-based learning, creativity or discovery as a driving force behind Irish undergraduate programmes. Students, upon completion of their studies, often lack a coherent body of knowledge or a clear sense of how one course is related to another. The content of each course stands on its own so students fail to see connections. Modules, timetables and classroom settings are structured to ensure know-how, techniques, formulae, rules and so forth can efficiently be transferred from the lecturer to the student. Even though access to and the availability of information itself is widespread on the Internet, acquisition of facts, methods and theories in the classroom by the student remain the fundamental building block of most education programmes, just as it has for centuries. Traditional lecturing, often to classes of hundreds of students, note-taking and periodic examinations by individual lecturers operating in isolation from their colleagues is often the norm. But what is learned in lectures often cannot be carried beyond the lecture-room. Therefore, even students with highly developed classroom knowledge of a subject are often unable to put that knowledge to much use except in the rarefied context of university examinations. Mostly, they fail to receive a coherent body of knowledge at university and many graduate without knowing how to think logically, write clearly or communicate coherently. Rhodes argues that while the undergraduate experience is potentially one of the most important areas to be taken seriously within academia, it presently constitutes one of the great failures of the research university. According to him, two factors are primarily responsible for this. One is that undergraduate education has become more and more ‘preprofessionalised’, preparing students for careers in the likes of accounting or engineering, thereby narrowing, quantifying and squeezing curricula into a scientific mould. The other is that faculties have given up on any agreement as to what the purpose of an undergraduate education is, or what it should provide. This lack of attention is understandable given the burdens placed upon faculty to excel in other areas of scholarship, scrambling for grants and struggling to keep up with the explosive growth in knowledge within their own disciplines. Yet, scholarship is a public trust and teaching is a moral vocation, not just the dispensing of information. Rhodes goes so far as to advocate a student bill of rights so students could expect certain things to happen to add to the richness of the undergraduate experience. He would include in this, inter alia, rights as to be guided sensitively by faculty, to be challenged by high intellectual standards, to be examined and evaluated in ways that are balanced and coherent, to be given the opportunity for cooperative group studies and to be given an opportunity to participate in the great opportunities of campus life and public service22. Students thrive in an atmosphere that nurtures creativity, imagination, intuition, personal development and mutual respect. More and more employers in both the public and private sectors in future will seek out graduates who can apply knowledge to one area of specialisation but with the flexibility to also work in others. Students must be capable of thinking holistically, working in multidisciplinary groups and coping with change. But this should just be confined to disciplines and subject areas that emphasise the creation of money values. Right across the university, in the arts, the humanities, the social or physical sciences, this is a real challenge for the academy if it is to respond appropriately to the education needs of a knowledge society. Figure 1 illustrates six interconnected strands we propose as essential elements if undergraduate education is to meet the needs of an Irish knowledge society. These strands, namely inquiry-based learning, interdisciplinary perspectives, engaged communities of practice, citizenship, culture, identity and place, and values-driven sustainability are necessary to nurture a culture of research and self-discovery. In a sense, they comprise two main categories of exploration, scientific research that is outside and self-discovery that is inside the individual. The benefits go not only to those who pursue a research career. Even for most students, those who enter the workforce after graduation, a spirit of exploration should be at the heart of their undergraduate experience if a knowledge-based society, individual and community well-being and a high quality of life are to be obtained in this country. The key challenge for educators is to structure programmes so each strand is interconnected in a seamless web or network of exploration. For interdisciplinary programmes to work effectively, for example, an inquiry-based learning process is an essential component. We now summarise in turn what each of these strands involves and the implications for undergraduate education. Learning in order to attain one’s own goals, guided by one’s own values, not the approval of an outsider such as a lecturer, is at present the exception rather than the rule in undergraduate education. Instead of requiring students to remember facts and information given them by lecturers, students should ideally be placed in situations where they are required to find out more for themselves, thereby performing research in order make decisions. This, not passively ‘taking’ courses, should constitute the heart of the learning enterprise. Experience really is the best teacher, in other words, the best way to learn something is to do it. The pre-eminent educational theorist of the twentieth century, John Dewey, advocated in his classic ‘Experience and Education’ just such a philosophy of experience23. Understanding comes from the ability to make connections between existing knowledge and experiences with that of new inputs. Learning traditionally was associated not with the decontextualised setting of the classroom or lecture hall, but with a more integrated process of learning. This involved the scholar working with the master or the craftsman working with the apprentice, an approach still common today in medicine, for example. It recognised that once young people had acquired certain levels of skills, and real motivation, they needed to be given full responsibility for outcomes. Abbott and Ryan advocate its modern academic variant, what they call cognitive apprenticeship, as the ideal preparation for learning social, intellectual and practical skills for today’s workplace24. The innovative National Institute for Research and Spatial Analysis (NIRSA) internship model at NUI Maynooth is an exciting example of this operating in practice. A major psychological constraint on effective inquiry-based learning is the difficulty of responding to the different kinds of ‘intelligences’ represented among individual students and among disciplines at a university. Harvard’s Howard Gardner sees a new imperative for educators to nurture five minds for the future: the disciplined mind (exemplified in science and mathematics), the synthesizing mind (that can take large amounts of undigested and unevaluated information), the creating mind (epitomized by Albert Einstein and Virginia Woolf), the respectful mind(celebrates diversity, perspectives and motivations of others) and the ethical mind(geared towards ‘good work’, work that is excellent, expert and socially and morally responsible). The first three types foster intellectual understanding while the last two emphasise character or development of positive personal and social values. The educator’s imperative, according to Gardner, is to create an ambience in which these minds are modeled and embodied. This means universities must be innovative in the way courses and experiences are offered. Undergraduate education is from this perspective critical for nurturing creativity and in infusing a culture of respect and ethics25. Echoing the call by C.P. Snow in his 1959 lecture on ‘The Two Cultures’, the noted UCD economist and policy analyst Patrick Lynch argued that the humanities and sciences should be bound closer together so that society consists of people that can communicate intelligibly with one another27. He believed that the work of scientists could be increased in significance by associating it with that of social scientists, stressing the unity of all knowledge and the danger of seeing science as something apart. He saw the divorce of technology from a system of values as one of the main explanations for the predicament facing mankind and academic adaptation essential if universities are to humanise society. A liberal education is of particular benefit as preparation for a knowledge society28. Integrated programmes, drawing on the arts, social sciences, humanities, physical sciences and technology, can play a crucial role in generating a culture of innovation and creativity. Academic structuring of knowledge into separate disciplines is one of the main barriers to nurturing an innovative culture within Irish universities. Breaking down barriers between specialisations can foster academic diversity and thereby individual creativity. As QUB geography E. Estyn Evans put it, ‘it is at the fences, along the borders, that discoveries are likely to be made’29. However, at present, many institutional features in the academy militate against this so interdisciplinary innovations are especially difficult to develop. First, undergraduate programmes largely respect the autonomy of a dominant academic discipline. Second, financial and promotional incentives primarily promote faculty and postgraduate research within the discipline, certainly not undergraduate teaching and inquiry across several disciplines. Third, and not least, because of university administrative structures, factors as simple as timetables or lecture room size often militate against the development of say an undergraduate seminar jointly handled by a historian and an economist. The potential benefit to undergraduates of being exposed to different perspectives, both from academics and fellow-students, on a range of issues is unfortunately passed up. Their education should be based more on developing their capacity to balance competing objectives, not just acquiring knowledge about a specific discipline. Exposure to aesthetics, for instance, can contribute to nurturing the imagination of undergraduate students. The arts can develop complex and subtle aspects to the growth of the mind. They encourage achievement while playing a significant learning role in other disciplines. Intrinsic satisfaction is an important educational outcome since if students are only motivated by extrinsic rewards, when these stop their learning ceases. Work in the arts, whether visual, musical, literary or poetic, all aesthetic experiences, can play a special role. As educator Elliot Eisner of Stanford argues, exposure in these areas helps develop a taste for nuance, refines the sensory system, promotes a suppleness of mind, invites a toleration of ambiguity, encourages the exploration of uncertainty and cultivates the exercise of judgment free from prescriptive rules and procedures. In the arts, the locus of evaluation is internal; and the subjective side of the student has an opportunity to be developed: constraints on the imagination are loosened. Work here enables students to stop looking over their shoulder but to direct their attention inward to their own feelings, values and beliefs. Since education is at heart the process of learning how to invent oneself this can be at the root of individual autonomy, or to use a more conventional term, entrepreneurship30. Rather than as now largely being an individual experience, learning should be a team effort. Peer to peer learning is especially important in this regard. Students should acquire knowledge in order to achieve group objectives or balance conflicting goals just as it is in most places outside the rarefied atmosphere of schools and colleges. The traditional roles of instructors as presenters of facts should be closer to that of facilitators and coaches. The emphasis should be on creating a motivating culture of mutual respect, cooperation and idealism while de-emphasising information, easily obtained nowadays in libraries and on the Internet. College classrooms should be akin to learning communities, learning organisations or communities of practice as several scholars have advocated31. An approach that would generate a spirit of inquiry and engagement among students might be for them to spend time (with faculty input and support) working on projects, assignments and problems identified in local industry or communities. This was a crucial recommendation made by Malcolm Skilbeck in a recent report on the higher education sector for the Higher Education Authority and Conference of Heads of Irish Universities (CHIU)32. It would help a lot if the knowledge and expertise of faculty in a range of disciplines such as accounting, biotechnology, chemistry, economics, engineering, geography, history, information technology and psychology could be harnessed to address these issues. Such a multidisciplinary perspective that emphasises relationships, interconnections and teamwork, would expose students to an understanding of how to create value through fostering an enterprise ethic. The discipline-based approach to education has according to Bringle, Games and Malloy narrowed the focus to such an extent that students do not receive good preparation for citizenship34. The absence of an ethic of civic responsibility is increasingly recognised as one the largest social problems in Ireland. The social animal innovates when there is room for individual commitment and a sense of belonging to a community. But do we have the type of education that fosters this kind of sense of responsibility? Students in Ireland, especially at third levels receive little or no opportunity to develop practical citizenship. In order to prepare students for lives of moral and civil responsibility, helping them understand relationships of community and social solidarity, we need the kind of university courses now common in the US that focuses on this area35. The most crucial subjects for pupils to study, having mastered basic literacy and numeracy skills, is their own society starting from their own community and expanding to include national and world affairs36. Participative citizenship is required rather than the permitting the examination syllabus dictate what is taught and how it is taught. Influencing attitudes and values such as responsibility and tolerance, and skills in problem-solving and ethical decision-making require a different approach than the teaching approach our examination-oriented system largely demands. Scandinavian countries, in contrast to Ireland, help students realise that they must utilise the world’s natural resources without interfering with the balance of nature. This also helps them develop a critical and responsible attitude to social questions: they learn to respect the society and culture of their own country as well as those of other countries, both in the past and present, and learn to tolerate different ways of thought. In essence, to learn what is of value, students prepare in a practical way for future responsibility as citizens by performing community services. interdependence of social, economic, and ecological well-being would be transformative and constructive. It would engage the student in true learning rather than the present transmissive methodology that is largely associated with information transfer, instructive and imposed. A higher education must mean more than simply preparing students for a job or cultivating their intellect. According to educators James Chickering and Linda Reisser, in the global society of the twenty-first century, where change is the only certainty, identity formation is the central and continuing task of education. The most critical task of higher education is to create and maintain educationally powerful environments. Colleges and universities should be centrally concerned about students’ personal values, ways of thinking, modes of learning, and interpersonal and intercultural skills. Fostering self-esteem, healthy relationships, and socially responsible behaviour must now be a priority. To promote student well-being, they regard seven, what they call developmental vectors, as crucial. These are, developing competence, managing emotions, moving though autonomy toward interdependence, developing mature interpersonal relationships, establishing identity, developing purpose and developing integrity38. A knowledge society is about far more than commercial enterprise. Ultimately, it is a society that is inclusive and participative, concerned about values, culture and quality of life. The relationship between personal and national identity, for instance, and the network society is complex. Irish policy-makers tend to use Finland as a role model for the information age so it is instructive to examine what research in that country demonstrates. Castells & Himanen show that cultural identity and a strong national sentiment are essential components of the Finnish model of the information society. Finland displays a dynamic integration in the global economy, yet also possesses a strong sense of its culture, unique language and national identity. Indeed, the authors assert it is this identity that provides a key foundation for political legitimacy, which enables the role of the state in the building of the country’s advanced information society. The Finnish model also shows that technological and economic dynamism can be combined with the welfare state to obtain a high quality of life. The evidence is that the model of the knowledge society that every society builds depends on the values that people, firms and governments hold and promote through their actions39. To develop a culture of creativity, a strong cultural identity, tradition and sense of place are therefore essential ingredients. The basic skill for surviving in a multicultural world is an understanding first of one’s own cultural values and then the cultural values of others with whom one has to cooperate. Successful intercultural encounters presuppose that the partners believe in their own values. If not, they become as Verhelst puts it alienated persons, lacking a sense of identity, or sense of self. Being able to place one’s own roots in a cultural, historical and social context is necessary to appreciate the values and traditions of others40. While the Irish are often credited with a strong sense of place, the places themselves are often allowed to go to wrack and ruin. A lack of concern for design and aesthetic quality leading to litter, dumping and environmental desecration go hand in hand with preoccupation with place but the latter seems to have little to do with tending, cultivating or enhancing the material environment in which we live41. Sweeney argues that the strengthening of an aesthetic faculty will not emerge from an individualist culture and the structure of teaching, major factors in the loss of the traditional meitheal in this country. This culture of team working and mutual help was formerly a great source of social cohesion or social capital. Irish entrepreneurial potential can only be fulfilled in indigenous innovative enterprises through linking aspects of our native culture with creativity. This requires a shift from teaching theory to the application of theory, and working on team projects rather than individually42. Rather than a traditional product-oriented economy, the knowledge society heralds an era of service and flow, of networks and relationships, where patterns, processes and context are crucial. Innovations that minimise the use of materials, support biodiversity and increase resource productivity should be part of a values-led culture. Since humans are intimately connected with the fabric of life a unified systematic understanding that integrates the social, cognitive and biological dimensions of life is essential to create a sustainable society. As Capra argues, a set of values and beliefs not solely driven by an economic imperative is needed, not merely for the well-being of humans and their organisations, but to ensure the survival and sustainability of humanity itself43. Universities have a crucial role to play in helping foster this values-led ethos. To nurture a special ethic at undergraduate level, programmes should be characterized by a sense of purpose, excitement, exploration and playfulness. Education should develop in students a strong mission or vocation through which they can be motivated. It is only when young people believe their vision can change the world that they are willing to lead change and be innovative. In the knowledge society, value is created more by intangible assets such as ideas, ways of working, emotions, sense of place, community and the culture of organisations than through either information or knowledge acquisition per se. Programmes suitable in the past now fall short in supporting this environment. There is a critical requirement within programmes for opportunities that help students understand clashes between their own values and the values held by others, especially in the market. Too much emphasis on technical or quantitative skills rather than the formation of quality relationships is seriously flawed as a foundation for university education. In a knowledge society, as pointed out earlier, social context and networks are becoming key determinants of success. Developing an awareness of these is inhibited if students have not had practice and experience in exploring their inner emotional world. The more confident they are at creatively dealing with change and open to new possibilities, the better they are prepared for a network society. Programmes should help undergraduates understand how to create and share value learned through reflection. In other words, a student’s own values and interests, along with those of his/her colleagues, lecturing staff, the university itself and even society in general should form the basic dynamic of situations in which different stakeholders must compete, co-operate and trade. It is by being placed in situations and being required to make decisions rather than passively ‘taking’ courses that should constitute the heart of the learning experience. A demonstrated ability to apply imaginative solutions in adding value should be a foundation stone to foster an enterprise culture. Evaluation should get away from emphasising students’ knowledge of facts or theories. Instead, wherever possible, putting knowledge to practical use should be the key criterion used for assessment purposes. We now outline how a programme based on this conceptual framework works in practice, forming a seamless framework or web designed to stimulate an innovative culture. This is a unique interdisciplinary degree developed in 2004 and managed by the Economics Department at NUI Maynooth, the BSc in Finance & Venture Management (Bioscience or Electronic Engineering or Information Technology). However, while this example deals with sustainable ventures and enterprise education, the lessons drawn from it about how inquiry-based learning can be developed can easily be transferred to other contexts across the academy. This programme offers an education in business and science, engineering or technology while fostering an environment driven by ethics, sustainability and a values-led culture. It harnesses the knowledge and expertise of faculty in a range of disciplines such as economics, accounting, engineering, information, the arts and the humanities. Its multidisciplinary perspective helps students learn about the roles played by teamwork, competition and identity in creating value though enterprise. It emphasises communication skills, negotiating ability, social responsibility, integrity, a sense of quality and emotional development. In a knowledge-based society, the sustainable or evolutionary organisation will engage in the design of products, services, processes, and systems to create a future that includes prosperity and the healthy co-evolution of human and natural systems. Doing more and better with less, or redesigning products and services on industrial ecology models that mimic biological behaviour in order to minimise waste, should be central to the third level ethos. Sustainable innovations will increasingly require the integration of economic, social and environmental goals in the design of products and services. A key challenge for educators is to help students appreciate that a trade-off between these goals is not necessarily inevitable and that the fundamental aim should be to enhance all three simultaneously, thereby creating value for society. The degree attempts to do this. The word venture in the title was chosen to imply autonomy, risk and a sense of adventure. Risk plays a central role in the management of ventures, which can take place in a variety of different settings such as commercial or industrial organisations, public sector agencies and non-profit or community enterprises. Key qualities necessary to manage ventures are initiative, creativity, vision and self-confidence, all actively nurtured on this degree. Early on in their studies, students receive a solid grounding in subjects that help them understand various forms of capital such as financial, technological, social, and natural. While courses are conducted separately and generally follow a traditional lecturing approach, as students progress they are helped in integrating the various components in order to appreciate value and how this can be created or destroyed. Interdisciplinary venture workshops, designed to enhance learning that crosses many disciplines, assist students to see interconnections between the different courses they have studied. In order to ensure graduates are capable of stimulating ventures, either inside or outside organisations, that is intrapreneurship or entrepreneurship, respectively, they are regularly exposed to presentations and seminars by leading entrepreneurs, industrialists, artists, community leaders and others working in a host of creative arenas. Debates between class members on a range of societal issues help students see connections between different subjects. This also means they become more reflective, stimulating their engagement in volunteer work with local communities, involvement in political action or initiation of social ventures. Students work with their academic advisor to develop a customized or specialized programme of study tied to their own particular skills and interests. The advisor also proposes appropriate projects and assigns readings or gives short specialised courses on particular topics. Students obtain an integrated perspective on the innovation process by demonstrating their ability to add value by means of either an entrepreneurial or intrapreneurial venture. This is done though a capstone or integrating experience where students present a technical, financial and commercial analysis including a comprehensive business plan for a venture, either product or service. A student can also receive credit for a commercial enterprise involving a community development project in which he/she is engaged. The programme described is exceptional, offering an ideal education for motivated students, confident in their abilities, with a sense of tradition but also forward-looking. While it exemplifies our undergraduate exploration web, particularly inquiry-based learning for a sustainable enterprise education linking disciplines like economics, accounting or finance with the sciences, technology and engineering, its basic lessons have wider applicability. Its essential features are its focus on interdisciplinarity, joint assignments and projects, personal reflection, problem-based exploration and discovery as the basis for learning. There is no reason why these cannot form the building blocks for undergraduate education across all disciplines in the academy. Universities reward what they value and value what they reward. Clearly a sea change in perspective or values is necessary to appropriately assess student performance in the kind of environment we describe. Qualitative criteria require openness to highly innovative assessment techniques. Traditional testing by means of examinations should be the exception rather than the rule. For ventures and projects, especially those involving a community role, assessment must be based not just on quantitative criteria such as the financial or economic return from a venture but also on its social contribution and environmental sustainability. The power of the core concept of the university and its resilience as an institution can be demonstrated by the fact that of the 85 institutions that exist today as they did 500 years ago (examples include the Vatican and the British Parliament), 70 of these entities are universities45. Yet, if the ideas contained in this paper are to be implemented, such as universities abandoning unquestioned teaching and learning conventions, huge changes in institutional structures will be necessary. The guiding metaphor in higher education should not be production or efficiency but commonwealth whose defining characteristics are community, conversation and relationships of trust and mutual well-being. At this stage in Irish development, moral institutions of society are probably more crucial than intellectual ones. A sense of tradition is a key element missing in the philosophy of the research university. The scientific assumptions of the research model indeed seems to clash nowadays with what O’Brien calls the ‘moral hangover’ of the mission still expected of the university46. A host of presidents, ex-presidents and top administrators of Irish universities have recently engaged in extensive media debate on the mission, structure and functions of the university in the knowledge society47. Commentaries tend to hinge on the relevance today of the traditional model of university education contained in Cardinal John Henry Newman’s classic ‘Idea of a University’48. There is general agreement that as we enter this knowledge century, the case for the value of the research university has never been stronger. The key question, however, is what constitutes a research university. It should not be a place where knowledge discovery and dissemination is confined just to elite postgraduate and faculty research. At its core the research university must be is an inquiring university for all community members. Throughout most of its long history, the university has embraced the importance of introducing undergraduates, its first constituents, to the world of knowledge and knowledge creation. This must continue with renewed focus in the years to come if we are to become not just a knowledge society but more importantly a learning society. To conclude, undergraduate education should not be so much about faculty teaching as about student learning. The holistic and dynamic approach we advocate in this paper to foster a spirit of discovery could add an exciting new dimension to university education in Ireland. Only now are leading institutions in the US and Europe beginning to think in this direction. Some readers may not agree with our prescription, arguing that the enhanced role we suggest does not fall within the remit of the university. Yet, the radical overhaul we propose could prove to a significant competitive advantage internationally. It might also offer the greatest protection for Irish universities to ensure continued public support within the highly uncertain environment they surely face in coming years. 1Reinventing Undergraduate Education: A Blueprint for America’s Research Universities, The Boyer Commission on Educating Undergraduates in the Research University (Stony Brook: State University of New York, 1998. 2 Information Society Commission: Learning to Innovate: Reperceiving the global information society (Dublin: Government Publications, 2005). 3National Development Plan 2000-2006 (Dublin: Government Publications 2000). 4 Economic and Social Research Institute (ESRI): National Investment Priorities for the Period 2000-2006, Policy Research Series, Number 33, March 1999. 5 Sweeney, Gerry: “The Skilbeck Report and the Need for Change,” Céide, April/May, 2002. 6 Barrett, Alan, Gerry Boyle and Annmarie O’Connor: “Higher Education-Funding Challenges and Funding Options,” Paper presented at the Dublin Economics Workshop, Kenmare, Co. Kerry, 2004. 7 Information Society Commission: op. cit. 8 John Seely Brown and Paul Duguid: The Social Life of Information (Boston: Harvard Business School Press, 2000), p.ix. 9 Information Society Commission (IFC): Building the Knowledge Society: Report to Government (Dublin: Government Publications, 2002). 10 Cronin, Michael: “The Unbidden Ireland: Materialism, Knowledge and Interculturality,” The Irish Review, Spring/Summer 2004. 11 Leydesdorff, Loet and Henry Etzkowitz: “The Transformation of University-indurty-government Realations,” Electronic Journal of Sociology, ISSN: 1198 3655, 2001. 12 Salmi, Jamil: “Tertiary Education in the 21st Century: Challenges and Opportunities,” Higher Education Management, Vol. 13, No. 2, OECD, 2001. 13 Cantor, Nancy: “Playfulness and Responsibility in Education and Research,” Paper presented at the Second Conference on Integrating Research into Undergraduate Education: The Value Added, Washington, DC, November 18-19, 2004. 14 Bloom, Allan: The Closing of the American Mind: How Higher Education has Failed Democracy and Impoverished the Soul’s of Today’s Students (London: Penguin Books, 1987). 15 Sykes, Charles, J.: ProfScam: Professors and the Demise of Higher Education(New York: St. Martin’s Griffin, 1990). 16 Sexton, John: “Undergraduate Education and the Core of the Research University”, Paper presented at the Second Conference on Integrating Research into Undergraduate Education: The Value Added, Washington, DC, November 18-19, 2004. 17 Sexton, John: “The Role of the Faculty in the Common Enterprise University”, Delivered as the Inaugural Canada Post Lecture, University of Ottawa, September 9, 2003. 18Review of National Policies for Education: Review of Higher Education in Ireland, Examiner’s Report (OECD: Paris, 2004). 19Reinventing Undergraduate Education: Three Years after the Boyer Report, The Boyer Commission on Educating Undergraduates in the Research University, (Stony Brook: State University of New York, 2001. 20 Postman, Neil: The End of Education: Refining the Value of School (New York: Vintage Books, 1996), pp.3-4. 21 Kreisler, Harry: “Adaptation and Change in the American University: Conversation with Frank H.T. Rhodes,” in Conversations with History Series, University of California, Berkeley, Match 31, 1999. 23 Dewey, John: Experience and Education (New York, NY: Touchstone, 1997). 24 Abbott, John and Terry Ryan: Unfinished Revolution: Learning Behaviour, Community and Political Paradox (Stafford, UK: Networked Educational Press, 2001. 25 Gardner, Howard: “How to Engage the Full Range of Students on the Proper Range of Topics in the Best Way…,” Presentation at the Second Conference on Integrating Research into Undergraduate Education: The Value Added, Washington, DC, November 18-19, 2004. 26 Duderstadt, James: “Revolutionary Changes: Understanding the Challenges and the Possibilities,” Business Officer, July 1997. 27 Snow, C.P. : The Two Cultures (Cambridge: Cambridge University Press, 1998); Lynch, Patrick: Whither Science Policy? Seventh Kane Lecture, Cork Scientific Council/IPA, University College Cork, 18 April 1979. 28 Tuohy, Brendan: A Liberal Education for a Technology World, Presentation to a Conference on ‘Values in Education & Public Policy’ (Centre for Culture, Technology & Values, University of Limerick, April 2002). 29 Evans, E. Estyn: The Personality of Ireland: Habitat, Heritage and History(Dublin: The Lilliput Press, 1992). 30 Eisner, Elliot W.: The Arts and the Creation of Mind (New Haven, Ct: Yale University Press, 2002. 31 For instance, on learning organisations, see Senge, Peter: “The Leader’s New Work: Building Learning Organizations,” Sloan Management Review, Fall, 1990; for communities of practice, see Wenger, Etienne: “Communities of Practice. Learning as a Social System,” Systems Thinker, June 1998. 32 Skilbeck, Malcolm: “The University Challenged: A Review of International Trends and Issues with Particular Reference to Ireland,” Report for the HEA and CHIU, 2001. 33 Glassick, Charles E.: Ernest Boyer: “Colleges and Universities as Citizens”, Chapter 2 in Bringle, Robert G., Richard Games and Edward Malloy: Colleges and Universities as Citizens (Boston, MA: Allyn & Bacon, 1999). 34 Bringle, Robert G., Richard Games and Edward Malloy: Colleges and Universities as Citizens (Boston, MA: Allyn & Bacon, 1999). 35 See for instance, Colby, Anne, Thomas Ehrlich, Elizabeth Beaumont & Jason Stephens: Educating Citizens: Preparing America’s Undergraduates for Lives of Moral and Civil Responsibility (San Francisco, CA: Jossey-Bass, 2003) and Fear, Frank A. & Maria Avila, Frames and Discourses: “Exploring the Meaning of Engagement,” Perspectives on Community Development, Vol. 2, 2005. 36 Breathnach, A. & A. Aylward: “Education, Innovation and Entrepreneurship: Lessons to be Drawn from Denmark and Norway,” Report for the EIE Research Programme, 1984. 37 Stirling, Stephen: Sustainable Education: Re-visioning Learning and Change(Bristol, UK: Green Books/Schumacher Society, 2001). 38 Chickering, Arthur W. and Linda Reisser: Education and Identity (San Francisco: Jossey-Bass, 1993), 2nd. ed. 39 Castells, Manuel and Pekka Himanen: The Information Society and the Welfare State: The Finnish Model (Oxford, UK: Oxford University Press, 2002). 40 Verhelst, Thierry, G.: No Life without Roots: Culture and Development (London: Zed Books, 1990). 41 Sheeran, Patrick: “Genius Fabulae: The Irish Sense of Place,” Irish University Review, 18, Autumn 1988. 42 Sweeney, Gerry: op. cit. 43 Capra, Fritjof: The Hidden Connections: A Science for Sustainable Living(London: HarperCollins, 2002). 44 US Supreme Court Justice Antonin Scalia, Commencement Address, College of William and Mary, May 1996. 45 Sexton, John: 2004, op. cit. 46 O’Brien, George Dennis: All the Essential Half-Truths about Higher Education(Chicago: University of Chicago Press, 1998). 47 See, for example, Hughes, John: Higher education needs to be at the centre of the ‘knowledge economy’, Irish Times, January 12, 2005; Von Prondzynski, Ferdinand: Adapting to a changing world is one of true ideals of a university, Irish Times, May 22, 2001; Kelly, John: Emphasis of third-level education is unashamedly on vocationalism, Irish Times, April 17, 2001; O’Hare, Daniel: New model needed for university of future, Irish Times, August 6, 1998; Walsh, Edward: University reform now critical for economy, Irish Times, September 13, 2004. 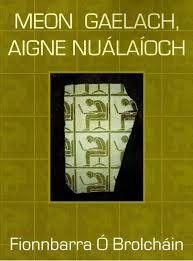 48 See, for example, McHugh, Roger J.: Newman on University Education (Dublin: Browne and Nolan, 1944) and Turner, Frank M. (ed. ): The Idea of a University – John Henry Newman (New Haven: Yale University Press, 1996).